Two blog posts were recently published chronicling the baths. The idea of what was essentially a gay massage parlor operating in a city of over 8million greatly intrigued me. I’d heard of the city’s gay clubs but an establishment offering solely ‘m for m treatment’ was a must visit. Only in 1997 was homosexuality made legal in China, it was still officially regarded as a mental illness up to 2001. I consider myself heterosexual but on the odd occasion swing into shades of bi-curious. One evening, using rough directions provided by a colleague, I made my way to Sense after work. Bathhouses, to quote novelist Garth Greenwell again, are “spaces in which the radical potential of queerness still inheres, a potential that has been very nearly expunged from a mainstreaming, homonormative vision of gay life.” I thought about those words as I left Steamworks at nearly 5:00 a.m. one morning. The staff had set out a table laden with breakfast food: yogurt cups, mini-croissants, bananas, and coffee. Towelled guests paused their hedonism and gathered around to eat and banter in the early-morning light. A new day was beginning. These two articles are perfect for the gay bathhouse newbie. 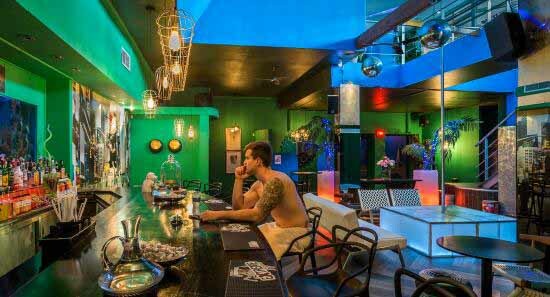 A gay bathhouse populated entirely by men offers no insight whatsoever into “LGBTI” life. It is about gay life. Gay, as in gay men, not lesbians, transgenders, or intersexed persons, the latter to of which have nothing to do with sexual attraction. Frankly, even “bisexual” is pushing it, but in any event “LGBTI” is a term that does nothing but lie to your audience of gay men – and to yourself.